Next time you’re running late for work or class because you can’t find a top to match your skirt, or the right pants to go with your blouse, you may want to consider adding a few jumpsuits to your wardrobe arsenal. Whether it’s casual overalls or a dressier one-piece, jumpsuits are surprisingly versatile for work and play, and make getting dressed a cinch. With that said, today we’re bringing you our favourite styles for fall—scroll down to check them all out! This jumpsuit is work-appropriate, but the drawstring waist also means you can dress it down for the weekend. Corduroy gives these overalls a luxe, seasonally appropriate feel. Replace your LBD with this chic black jumpsuit on your next night out. It’s just as versatile, but far more unexpected. Contrast this utilitarian-inspired jumpsuit with a pair of elegant pointy-toe pumps. Shop more luxe jumpsuits here. Style these overalls with flats and a printed button-down for a playful weekend outfit. Victoria by Victoria Beckham’s tailored silhouette makes it a great 9-to-5 option. We’re more than willing to break the “no white after Labour Day” rule for this sleek, streamlined jumpsuit. This edgy moto jumpsuit is the perfect cool girl’s wardrobe staple. Shop more Free People jumpsuits here. Peek-a-boo lace trim lends a romantic element to this piece. Layer these leather overalls over anything from a crop top to sweater. This casual t-shirt jumpsuit makes getting dressed in the morning a snap. Who says you can’t have comfort and style? This silky jumpsuit will look amazing with heeled sandals and minimal jewellery. This Ella Moss number comes with a built-in layered effect. 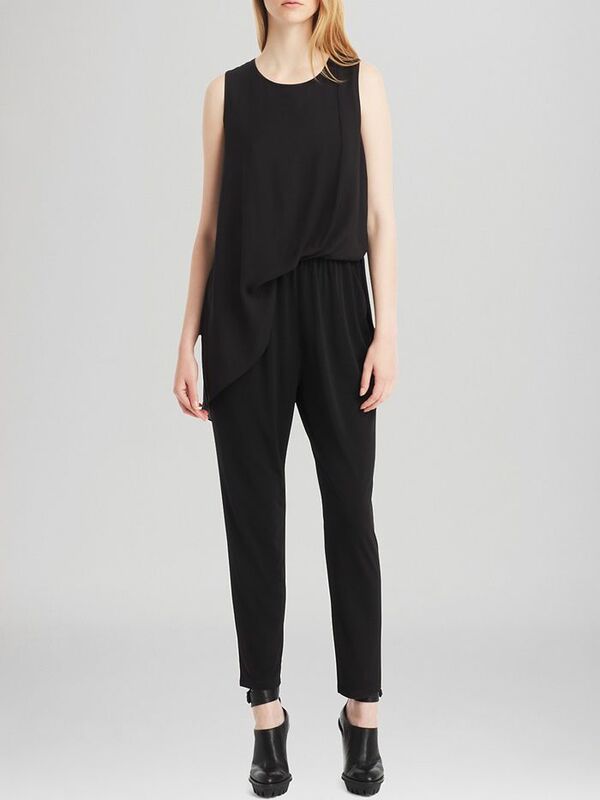 We love the flattering halter neckline on this Finders Keepers jumpsuit! Shop more ASOS jumpsuits here. Tackle two key trends at once with this stylish culotte-jumpsuit hybrid. Are you willing to opt for a one-piece? Tell us your thoughts in the comments below!